Looking for a Sony A6000 deal? There's no better time to get a great price than November – and we've got today's lowest prices below. The Sony A6000 may have quietly celebrated its fourth birthday recently, but there's ample reason why it remains in Sony's current lineup of mirrorless cameras. And because it's a little older, there are some incredible Sony A6000 deals to be found. Our price-tracking software has searched all the major retailers to dig out the very best cameras deals, so you can be sure you're getting the most bang for your buck. 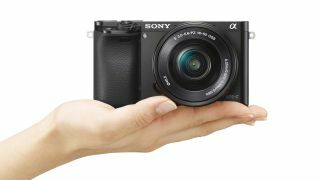 Here are today's best Sony A6000 deals. So what's so good about the Sont A6000? Well, as the most junior model in the A6000 series – just beneath the A6300 and the range-topping A6500 – it provides an excellent entry-point into system, be it for those wanting to upgrade from their compact camera or smartphone, or those after an alternative to a more traditional DSLR. And yet, despite its position in the lineup, and its more-than-reasonable asking price, its spec sheet remains strong. The 24MP APS-C sensor may seem somewhat ordinary on paper, but the fact that it's furnished with 179 phase-detect AF pixels means that it's far better suited for tracking moving subjects than many other mirrorless options at the same point. This is bolstered by 25 contrast-detect AF points and 4D FOCUS technology for keeping a hold of moving subjects, and even 11fps burst shooting, which is unusually high for a camera of this level. Something else that makes the model stand out is its 2.36million-dot electronic viewfinder, a feature that's often absent from models in this price bracket. This boosts usability in harsh light, as it can often be tricky to see the LCD screen clearly in the face of sunny weather, although the fact that you can also angle the LCD screen means you can adjust this to a better position when such conditions work against you. Sure, it's a shame this LCD isn't a touchscreen, but then this camera did arrive before this was expected as standard on cameras of this level. The same applies to the camera's video recording options, which are of the Full HD flavour rather than 4K, although the presence of both Wi-Fi and NFC mean it continues to compete well in terms of connectivity. And, if you want, you can even use this to control the camera from your phone – great if you want to be in the frame yourself. Other top features include a respectably high sensitivity of ISO 25,600 for low-light shooting, as well as the Eye AF feature that makes sure the most important part of your portrait ends up sharp and focused. All of this is topped off by DSLR-style controls such as a mode dial with all exposure options and a hotshoe for mounting external accessories. Here are more of today's best Sony A6000 prices and deals.